While 2016 might not be the year of the smartwatch, smartglasses or smartbelt, it's safe to say that the wearable market will continue to expand over the year. A recent report on the 2015 wearables industry conducted by research firm IDC indicated that tech brands offering wearable devices shipped 27.4 million units during Q4 of 2015, representing an increase of 126.9% over 2014 in that same time period. That means that over the course of 2015, a total of 78.1 million smartwatches, fitness trackers and more were delivered to retailers -- which is 171.6% more than last year. Perhaps most indicative of the incoming wearables boom, the same organization released another report, explaining that consumers are eager to get their hands on these devices. For example, IDC said that 74% of individuals think "wearable technology is exciting," while 71% believe smartwatches and the like are "the next big thing." These end users were labeled "wearable intenders" by IDC, given that they plan to buy a wearable device in the next six months. More importantly, intenders are "tech savvy, highly social and extremely style conscious." 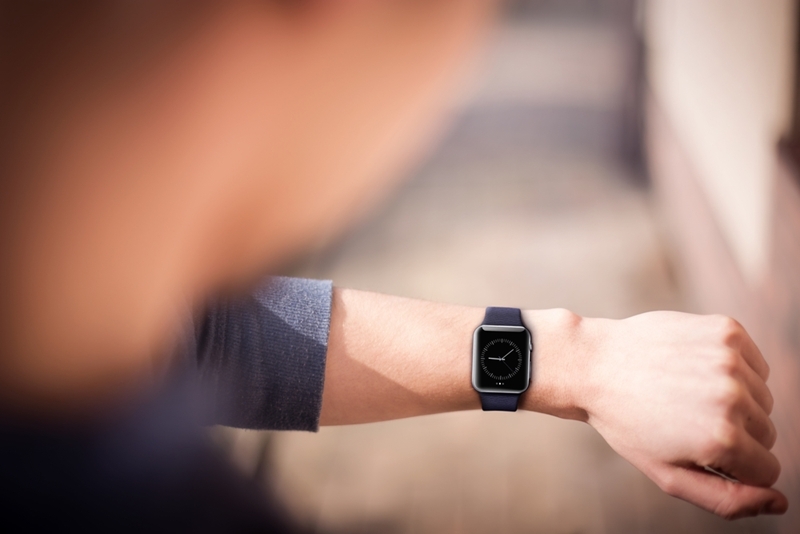 What comes first: wearables apps or wearable app users? So it's clear that consumers want wearables. Where does that put brands and app developers? In a precarious situation. The next six months will be the perfect opportunities for wearable manufacturers and app developers to win over these tech-savvy shoppers. "We are still in the early stages of the wearables market and that gives companies throughout the ecosystem opportunity to grab mind share and market share," Ramon Llamas, research manager for wearables at IDC, stated. "Intenders are gravitating towards tech companies for wearables because tech companies have helped pioneer and move the market forward. What will be interesting to observe is how tech companies partner with non-tech companies to develop new applications, or even how non-tech companies can compete in this space. Our research shows interest for both." "Only 6% of app developers have built an app for a wearable device." Interestingly enough, not many app developers are capitalizing on the wearable trend. Only 6% of those professionals have built an app for a wearable device for their employers, according to InMobi's State of Mobile App Developers 2016 report. Another 31% said they aren't even sure if they or their brand will offer an app for smartwatches and other smart tools while 32% think it's "somewhat likely" that they'll attempt to capitalize on the burgeoning wearable market with an app. The report explained that many mobile app developers face difficulties trying to create an app that functions on smartphones and wearable devices at once. That is slightly disconcerting considering that many of today's most successful wearable apps integrate seamlessly with users' other mobile devices. Consumers are eager for the wearables market to explode. They crave new technology, especially tech-savvy users. Unfortunately, a lack of apps can stunt wearable adoption. Brands are only semi-interested in creating apps for smartwatches, and as a result, app developers are not innovating and introducing new features and capabilities. Therefore, it's safe to say that this market is ripe for disruption. Once great performing apps hit app stores, the use of smartwatches will rise greatly. The key here is that apps must bring something new to the table, as well as launch bug and glitch free. To do so, brands and app developers themselves must commit to delivering continuous quality, and that entails performing mobile app testing throughout development and monitoring the use of apps for their entire lifecycles. When all's said and done, someone needs to chart the wearable device waters.